Tetsu Suzuki was born in Gifu in 1964. 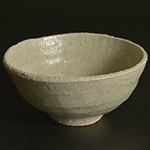 He graduated from Kyoto Prefectural Vocational School for Ceramic Artists in 1988 and started learning from his father, Osamu Suzuki. He became a member of the Japanese Traditional Arts and Crafts Organization in 1997. 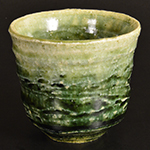 He won the newcomer prize at the Japan Traditional Arts and Crafts exhibition in 2003.